Finding the best tea is no easy task. There are many varieties of tea such as black, green or oolong tea. In the tea industry, experts use tea leaf grading so we can easily evaluate the quality of the tea leaves themselves. Certain avid tea drinkers argue it's not just about the quality of the tea itself, but the tea cup from which the beverage is consumed from. It is well documented that various nationalities use different tea cups for various purposes. The British use a porcelain small tea cup, usually with a small handle. Argentinians use a special gourd for the yerba mate, whilst Morrocans have their mint tea in a tall glass. Searching for the best tea is difficult, not because good quality tea is hard to find, but because the task itself is subjective. There are myriad teas around the world, some more famous than other. Whilst I think milky oolong is the best tea in the world, many others would prefer pu-erh tea, rooibos, or the famed Japanese matcha. But what better way to find the best tea, than by packing the bags, and going on a quest and travel the world in the process. Black Tea is made from leaves of the Tea plant or Camellia Sinensis. Although it comes from the very same plant as green or white tea, black tea looks and tastes different due to the process of fermentation. The fermentation or oxidation process creates a strong beverage, with more flavour and deeper colour. Legend has it that black tea was actually created out of an accident when some tea became oxidised as it was left unattended a little too long. The result was an astonishing deep coloured drink, very strong indeed and higher in caffeine content. It was then discovered that such variation of tea was prone for longer shelf life too! Black tea, traded as pressed, a compact brick of tea, became very famous and very sought after outside China. Such wonderful variation because so popular, that it because used instead of currency. Unblended teas, get their flavours and aromas because of their region of growth. We must first explain that what we know as black teas, the Chinese people call red teas. The only true black tea according to the Chinese people is Pu-erh. "Ceylon tea is named after the country in which it was first grown and made popular: Ceylon. Not sure where that is? That's probably because it is now known as Sri Lanka or the pearl of the Indian Ocean. This popular black tea is picked, packaged and exported all around the world and chances are you've tried it with a slice of lemon, a dollop of milk or just a dash of sugar. A few years ago, I travelled through Sri Lanka's tea country and watched beautiful Sri Lankan women dressed in delicate saris wander through plantations picking tea leaves and throwing them into wicker baskets on their backs. I tried a few different varieties of Ceylon tea during our stay high up in the hills - if you like rich, bold and mildly sweet flavours then you'll love Ceylon tea. Sri Lanka's tea country tends to be hot and dry during the day, and fairly cold in the mornings and evenings, which means that some of my fondest memories from that particular trip involve lazing about on our balcony watching the sunrise and sunset, and trying to stay warm with a steaming hot cup of Ceylon tea in hand. If you're a big tea drinker and want to learn about the tea production process from start to finish, then venture out to Sri Lanka's tea country!" "The Second Flush Darjeeling tea, from Mornai tea estate in Darjeeling is widely considered the best tea in the world by tea connoisseurs and is my favourite too. The dried tea leaves are small and blackish-brown and have a heavenly aroma to them. The tea gets its name from when the leaves are plucked, i.e. around June-August in the tea estates of Darjeeling, West Bengal, India which is also a popular hill station. 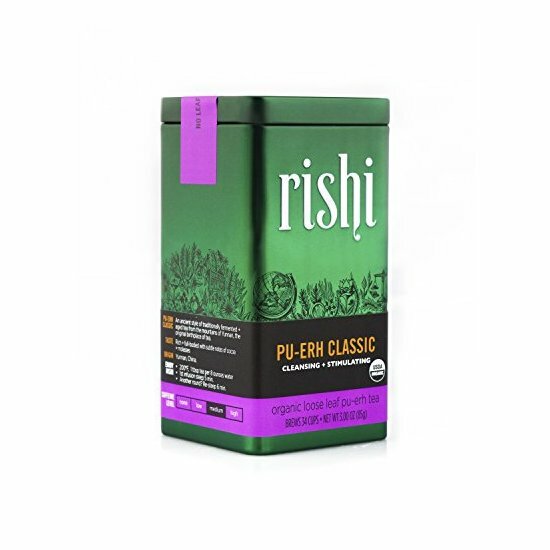 I am not much of a tea drinker although this tea is from my home state of West Bengal, India but I was sold on it during my last trip to India at my aunt's place in Kolkata (capital of West Bengal). 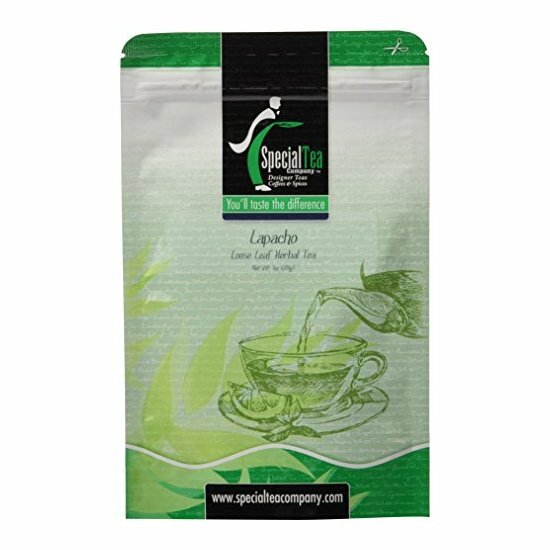 This loose leaf tea is pretty strong and only half a tea spoon should be used for a cup of water. Bring the water to a boil, add grated ginger, add the tea leaves and let it simmer for 5 min or so. Take care not to overdo this step or else the tea will turn bitter due to over-steeping. Strain the clear dark liquid out into a cup and add sugar and milk (optional) for that milky "chai" that is so popular with Indians! For the lactose intolerant ones, you can also enjoy the tea "black" and squeeze some lemon in it for added tangy taste(which is how many prefer their evening tea in Kolkata). 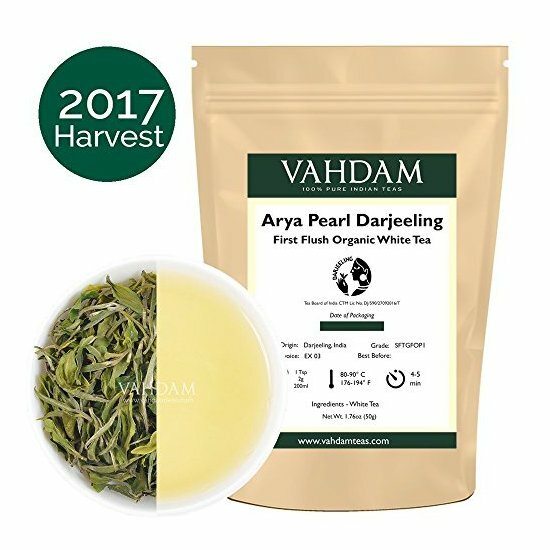 You can buy the second flush Darjeeling tea from any reputed tea store in Kolkata, just make sure the aluminium foiled packet is sealed well. The best way to enjoy this tea is with Indian crackers or something savoury. 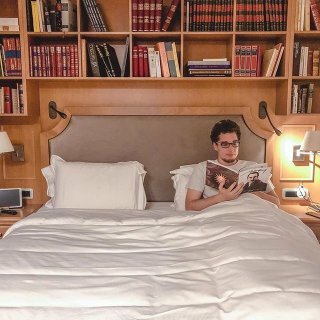 May I also recommend a perfect read during tea time for book lovers? Pick a copy of Mulk Raj Anand's "Two leaves and a bud" to go along with that hot cuppa! If you are in San Francisco, you can stop by at my place and we can enjoy this tea together (I still have about half a packet left!). " "My favourite tea is BOH black tea from Malaysia. This largest black tea producer in Malaysia has its origin from the English colonial days when J.A. Russell, a British businessman founded the BOH Tea Plantations in 1929 located at Cameron Highlands, Malaysia. The best place to enjoy a warm cup of BOH black tea is at one of its tea plantations, Sungai Palas Tea Garden, Cameron Highlands at 1,600 metres (5,200 ft) above sea level. As Malaysia’s weather is 24/7 summer with hot and humid weather year round at sea level (average daily temperature fluctuates between 27°C/81°F to 32°C/90°F), savouring BOH premium black tea in the chilly Cameron Highland overlooking a beautiful tea garden is definitely a welcoming change. 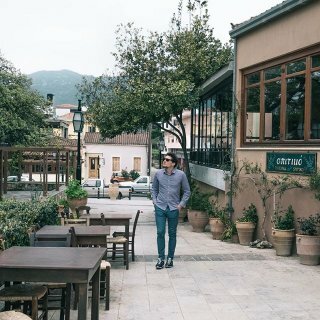 The scenic drive up to Cameron Highlands is always enjoyable as it is home to many British colonial bungalows and mansions built as a haven to escape the hot and humid tropical climate. Back in the colonial era, the British loved spending their days in Cameron Highlands pruning roses, tending to strawberries and sipping English tea. All these activities are still available and preserved till this day. BOH black tea is strong, aromatic and full bodied when brewed. I love my BOH black tea with milk and sugar, or sometimes just with sugar alone. Pairing the black tea with bite sized sandwiches, cakes and pastries, this is my ideal afternoon tea while enjoying the enchanting ambience and view of the BOH tea plantation at Cameron Highlands. Sungai Palas Tea Garden also offers a tour for the tea lover around its tea processing factory, providing an in depth educational tour on how BOH tea is being processed. Together, BOH Tea Plantations owns a total about 1200 hectares of land in Cameron Highlands, and produce about 4 million kg of tea every year, which accounts for approximately 70% of local tea output. No wonder BOH is the favourite tea brand of Malaysia." Dian Hong comes from Yunnan, China. It is quite malty and you may have heard of it as it is famous for its golden tips. It is very gentle and sweet. Only cheap Dian Hong would taste bitter. Yingdehong Tea is originated from Guangdong, China. This is quite fabulously sweet aromatic tea with a lovely taste of cocoa. Jiu Qu Hong Mei is a tea from Zhejiang characterised by a beautiful black colour. It has a very smooth after taste and some associate its appearance with fish hooks. Tibeti is from Sichuan and it has been traded for a very long time by yaks in a shape of a tea brick (which means that the tea was compressed and shaped to look like a brick). Sun Moon Lake comes from Taiwan and it is known for its honey characteristic and sweet cinnamon and peppermint aroma. Sun Moon Lake is the name of an actual lake, the largest one in Taiwan to be precise. It acquired this name because one side of the lake looks similar to a sun whilst the other one resembles a moon. Assam is a black tea which acquired its name due to its location, in India. 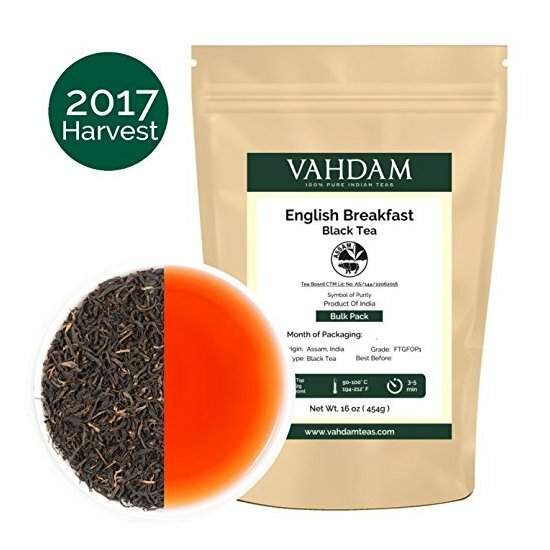 It is one of the most loved black teas in the west, usually the base for English Breakfast and well known for its malty characteristic. It is actually the most produced tea in the whole world. Darjeeling comes from West of Bengal and is a combination of fruity and floral. It is widely available as green, white or oolong darjeeling although the most common form is black. Munnar is an Indian Tea from Kerela. Kangra is also an Indian Black Tea but from Himachal Pradesh. Nilgiri is a very aromatic black tea from Tamil Nadu, a beautiful hill from India. Ceylon, a beautiful afternoon blend, comes from Sri Lanka. Ceylon has a very beautiful story as it kept its name against all odds when Ceylon became known as Sri Lanka. Only original Ceylon, grown and packed in Sri Lanka is allowed to wear the original Lion trade mark associated with the tea. Depending on the altitude on which is grown, the taste and colour change from the honey like colour to a very rich brown. Nepali Tea comes from Nepal and although is very similar to Darjeeling, it has been considered superior in taste, aroma and colour. There are of course many, many black tea blends and they all have something beautiful and special about them. 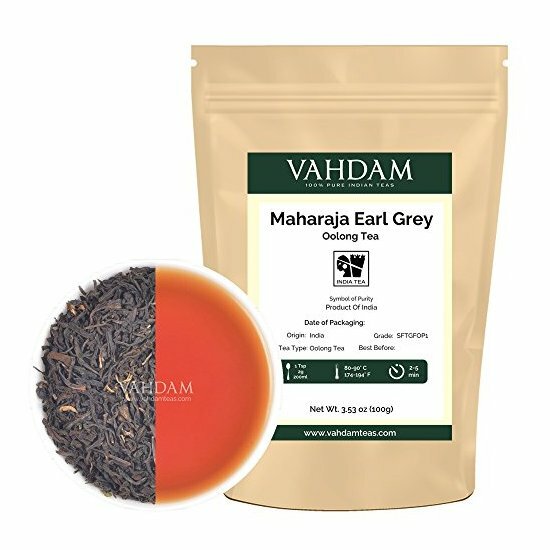 Take for example Earl Grey, with is beautiful bergamot taste, or English Breakfast, a blend of Assam and Ceylon to brighten your morning. The Masala Chai, which is an amalgam of spices to warm up your heart whilst your English Afternoon Tea will be most inviting when the 5 pm approaches. Whether it is flowery fragrant Darjeeling, spicy Assam or tangy-citrus-fruity Ceylon, black tea enchants us with its aromatic diversity cup by cup. The certainty is that black tea is nowadays cultivated all over the world and not online in well-established tea growing countries such as India, Sri Lanka or China, but places like Africa, South America and Russia. They all have a story to tell! "In the past year, I’ve probably had more than a million cups of tea. At least. From terra cotta teacups of spicy masala chai on the streets of India to lightly fragrant mugs of golden chiya from the tea hills of Nepal, this coffee addict has finally gotten on the tea train. I’ll admit it. Each tea left a lasting impression in its own way, but there’s one in particular that stands out in my mind. I had the tea while sitting on a plush Persian carpet amongst cavernous sandstone walls in an underground restaurant in Kermanshah, Iran. The restaurant owner, delighted to have foreigners visiting his restaurant, took good care of us, sitting and chatting with us throughout the night. We had multiple pots of tea in typical Iranian fashion: paired with an insane amount of sugar cubes. Iranians put cubes between their teeth before sips, rather than mixing them into the tea, resulting in diabetes-inducing levels of sugar consumption (but so be it). Eventually, as a little surprise to break up the sugary sweetness, the owner brought out a small vial of golden liquid: saffron oil. He insisted we add it to our tea, both for flavour and for health. Iran is famous for the saffron it produces, and it’s ubiquitous in Iranian cuisine, but I’d never had it in tea before that evening. Coming from a country where a teeny pinch of saffron can cost $10, it felt like a luxury fit for a queen! The rich saffron flavour blended with the sweetness of the sugary tea as it rolled down my tongue, soothing my throat along the way. It was unlike any tea I’d had before, and I blinked in amazement before grinning with delight at the new flavour. The owner grinned back, knowing how I felt without my having to say anything." "The best tea in my world is not from a specific place. It does not have a secret recipe. It doesn’t necessarily stand above all others in terms of taste. It can be as unremarkable or remarkable in flavour as you would like. This tea, my favourite tea, is from Pakistan. It can be found in any place, at almost any time. What makes it remarkable is that is so often shared with a stranger while on the road. In Pakistan, a cup of chai is more than a simple drink. It is a way for people to come together and share a moment, regardless of where they are from or where they are going. You might accidentally bump into someone on the street, or simply make eye contact in passing with someone sitting on the street side, and the next thing you know, you are both sitting and chatting over steaming little cups of sweet, milky chai. In my travels, I have shared cups of chai with people I had only met seconds before, yet we part ways like old friends once the time comes. Perhaps it is the sweetness that attracts people to each other. It is hard to feel negative thoughts toward another when your hands are clasped around something so warm and comforting, so innocently sweet on the tongue. Perhaps it is simply the fact that chai is so prevalent in Pakistan that runs through the bodies and veins of Pakistanis like blood, and we cannot help but be drawn together through it. For me, my favourite cup of chai is not so much about the taste or the texture, but of the conversations that happen over and around it." "To be clear, I’ve always been a coffee person and I only drank tea when I was feeling sick. As you can see, my expertise in tea is quite limited. When I lived in Ahmedabad (India) for a few months, however, drinking “chai” (tea with milk and spices) became part of my daily routine. Now, that little cup of “chai” I drank every day (and sometimes more, depending on how hot and humid it was), had two ingredients I would hate in any other circumstances: tea and milk. What made me drink it, then? The spice mix. The spices in the tea completely overpower every other taste and I was able to drink it. Believe it or not, “chai” is more refreshing in a hot day than an ice-cold glass of water, all because of that spice mix. In India, I tasted three different recipes (four, if you count my husbands’) – one at home and two at different tea stalls. The homemade one takes the gold medal! 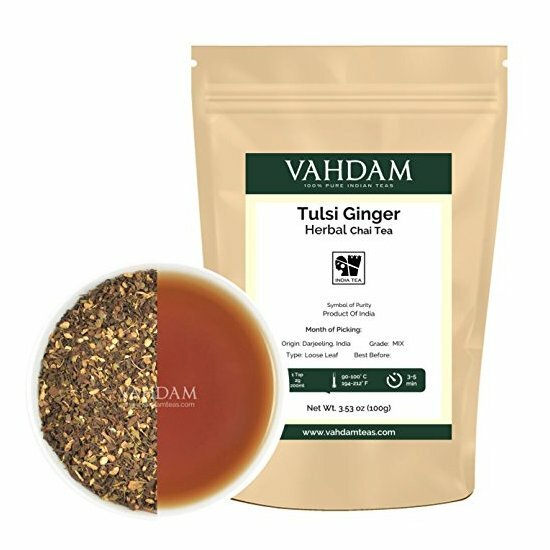 That “chai” was the result of years of a perfected recipe passed on from generations and no matter how many times I tried to guess all the spices, I could never get past identifying ginger and cardamom. My husband’s grandmother ground her own spice mix for tea (some of which we carried to Portugal in an airtight container three years ago) and she added a secret ingredient, that she finally revealed to us with a smile after we insisted: a pinch of black pepper. We’ve tried to recreate her recipe, but I think we miss her touch. As for the tea stall versions, I tried a “fancier” tea stall and a side-of-the-road stall (much against my husband’s will, because he thought I would get sick. I didn’t!). Both “chais” were different, the first was milder and the second was done in a more speedy, careless way, but both were great. Because Ahmedabad is part of Gujarat, a dry state, locals cannot buy or consume alcohol, so instead of bar hopping, people gather around these tea stalls, something locals call “kitli culture” (kitli is kettle in Hindi). In a way is not that different from Portugal, where we gather at cafés with a tiny espresso cup. So, my favourite tea is deeper than loving a drink." "At the suggestion of a friend, I tried Elachi Tea at the Blue Sea Cafe in Secunderabad, a cool southern city in India that is also my hometown. I simply and totally fell in love with tea at that moment. This tea is literally my elixir!! The Blue Sea cafe happens to be on the busy station road of Secunderabad and is also a very popular spot for tea and snacks for locals. You should be prepared for a wait time of at least 5 to 10 minutes for your cup of tea. This particular tea had cardamom, milk and sugar in it and is particularly tasty. I usually like my tea on the lighter side, but this tea made me love the milky taste. So, I keep visiting this cafe whenever I am in the city just for their tea! If you are visiting the city of Secunderabad or even Hyderabad, just hop on a bus or train to the railway station at Secunderabad and ask anyone around for the Blue Sea Cafe. You would find it very easily as it is located right opposite to the main bus stop. 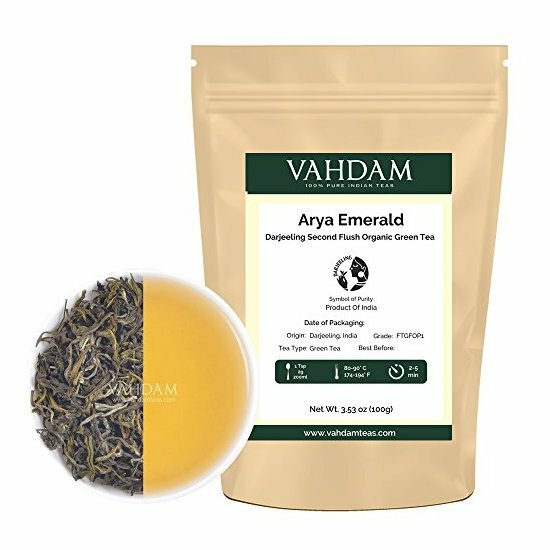 Try this tea and you will never regret it. This elachi tea made quite a tea-lover out of me and I keep trying out different tea shops wherever I travel. But so far none have matched this superb concoction from my hometown :) My homesickness is bumping to the next level as I think about the Blue Sea elachi tea now." "One of my favourite teas is Thai Iced Tea. Don't be put off by the bright orange colour - it's from the added condensed milk which is so good. The best Thai Iced Teas are undoubtedly the street ones you can buy for around 25-30 baht. Look for small street stalls with various bottles of syrup on them and order a 'char nom thai'. You can find these street stalls in every town in Thailand as these teas are enjoyed by locals and are fairly cheap and easy to make. The tea is incredibly sweet and so refreshing on a hot humid day in Thailand. Having lived in Thailand for the last three years I regularly enjoy drinking Thai tea and had to start limiting myself because of the sugar intake! You can ask for 'mai waan' if you don't want as much sugar. There is also a hot version of Thai iced tea which tends to be less sweet, less orange and tastes great first thing in the morning. I love how the vendors use cut-up plastic bag handles so that you can carry your tea down the street. When I ordered some regularly in Chiang Mai in the North of Thailand, they occasionally came in clear plastic bags that you need to pierce with a straw. 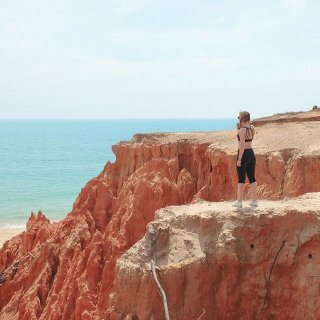 Definitely, consider trying one on your next trip to Thailand!" "Tea is taken very seriously in Burma. A leftover from British colonisation perhaps, but it's enjoyed all over the country in tea-shops which are meeting spots for locals going about their daily lives. The tea is ordered at your table, usually from a teenage boy, who relays the information to the tea master. They then pour the strong tea backwards and forwards into two tins, adding sweet condensed milk, evaporated milk or tinned cream depending on your preference. Historically, fresh milk and cream were expensive, and refrigeration facilities limited so they adopted the use of tinned milk products. We initially looked everywhere for these tea houses, not realising that we'd been walking past these holes in the wall every time. The patrons and staff were almost always all men, and although they looked at us with interest, were very much welcomed into the shop. We opted for a tea with condensed milk (sweetened) and a tea with tinned cream (unsweetened) but potentially due to our awful Burmese pronunciation both ended up with the 'standard' tea with 50/50 condensed and evaporated milk. It was creamy, rich and very satisfying! Very unlike what we are used to in Britain, but delicious! Also available are Burmese snacks - pastries, doughnuts and samosas which arrive at the table without ordering. You just pay for the plates you eat from and you can gently push the plates to the end of the table if you are not indulging. To wash down your snacks and Burmese tea, there is usually a further jug of weak green tea in the middle of each table. This is free, so help yourself!" The history of tea is very difficult to trace as there are many beautiful stories and legends about it. We do know that the Chinese have been enjoying this wonderful beverage for more than 4000 years. The story has it that Emperor Shen Nung came across tea when few leaves fell into the cup of hot water he was enjoying. Although a beautiful legend for sure, we will never know if that’s really what happened. We know for sure that tea is the oldest herbal medicinal drink. Tea drinking appears in a medical text book around the 3rd century AD written by Hua Tuo, an ancient Chinese physician. Another legend states that one Buddhist feel asleep for 9 years during meditation and when he woke up he cut off his eyelids to punish himself. These very eyelids supposedly grew roots, thus the appearance of the tea bush. Longjing is perhaps the most well known Chinese tea. Longjing means dragon well and it has a very beautiful flat appearance. Huiming is a green tea from Zhejiang, and so is the popular Gunpowder. Gunpowder is now grown everywhere in China. Did you know? The popular Moroccan tea is a combination of gunpowder green tea, served with fresh mint in a transparent glass. Hua Ding is a Chinese Tea from Tiatai whilst Qing Ding is another wonderful tea from Zhejiang also named the Green Top. Moving from the province of Zhejian to Jiangsu, we find one of the very famous, beautiful green teas of Dong Ting. It is called Bi Luo Chun, or Green Snail Spring. In this province, you can also find Rain Flower Green Tea, Que She from Jin Tan and White Cloud Green Tea. Fujian is another fabulous Chinese province which has lovely mountain grown delicate teas such as the perfect Jasmine Tea, Mao Feng (furry peak) or Cui Jian (which means jade sword). Xin Yang Mao Jian is the Green Tip from Henan. Jiangxi province has the magical Chun Mee, the award winning Gou Gu Nao and the nicknamed “Cloud Tea” or Yun Wu. Da Fang is a green tea from Anhui, same as Huanshan Maofeng, Liuan Leaf, Hou Kui, Tun Lu, Huo Qing (Fire Green), Wuliqing and Hyson, also known Lucky Dragon Tea which has a beautifully long and twisted appearance. Sichuan Province has the Green Bamboo tea or Zhu Ye Qing, the lovely sweet Meng Ding Gan Lu and the Baimei Green Tea. Another Chinese tea from the province of Shaanxi is Han Zhong Xian Hao. Green Teas do not stop in China. They have been introduced to Japan during the Song Dynasty. Legend has it that one Japanese Buddhist monk got a tea leaf from China and planted it in Japan where it thrived and got a story of its own. The Japanese have a beautiful ceremony and a long lasting tradition associated with green tea. Sencha is perhaps the most well known and most widely consumed tea in Japan. Unlike the Chinese teas, the Japanese Green Teas are steamed thus the differences in taste. Another type of Sencha is called Fukamushicha which is steamed twice as long as normal Sencha; this makes it green and even tastier. Gyokuro or the Jade Dew is a very fine type of green tea and is indeed very expensive. It is grown in the shade which increases this tea’s sweetness and its amino acids. Kabusecha is sometimes sold as Gyokuro because it is made the same way but for a lot less time. This tea is not as sweet but is more delicate and better tasting than Sencha. If you seek a green tea which tastes a little like berries and almonds with a grassy aroma, then Tamaryokucha is what you should get. The translation means ball green tea. Bancha is very similar tea to Sencha, but a much lower grade because of the time of harvest. Kamairicha is not your usual Japanese Tea as it is not steamed but pan fried in a very similar way to the Chinese Tea. Kukicha, Mecha and Konacha are all smaller parts of Sencha or Gyokuro. Kukicha is quite nutty and made of twigs, whilst mecha is a perfect in-between of Sencha and Gyokuro in terms of quality. Konacha is your sushi tea usually dusty looking, but not to be mistaken for any sort of Matcha. Matcha is powdered tea, very expensive and similar to Gyokuro. Matcha, also spelled maccha, refers to finely milled or fine powder green tea grown exclusively in select regions of Japan. Matcha is made from shade-grown tea leaves also used to make Gyokuro. The flavour of matcha is dominated by its amino acids. The sweeter the Matcha, the highest the grade. Same goes for its flavour and colour. Matcha is 100% natural, organic ground green tea leaves. It is basically a concentrated green tea full of goodness like antioxidants, betacarotene and Vitamins A, B and C. It can take up to one hour to grind 30 grams of matcha. Matcha comes in different grades which are distinguished by more intense sweetness or deeper flavour. The grades are defines by several factors like the location of the tea bush for instance. The exposure to direct sunlight can also alter the quality of matcha as the beautiful green leaves should be dried outside, but in the shade. In Japan, matcha is stone-ground to the amazing fine powder you can fully enjoy and it is not oxidated as this could compromise the quality and color of your tea. Essentially, the sweeter, greener and deeper the flavour of the matcha, the better the quality. The preparation of matcha can last up to 20 days. The bushes are grown under shade to increase the levels of chlorophyll. This basically turns the leaves into a bright beautiful green which contain an extraordinary amount of amino-acids. After harvesting, if the leaves are rolled out before drying, the result is Gyokuro (also called jade dew) tea, which is Japan’s finest and most expensive tea. If the leaves are laid out flat to dry, they become Tencha. Tencha is stone-ground to the fine, beautiful green powder known as matcha. Genmaicha is yet another Japanese wonder. Is a mixed of Sencha or Bancha with brown rice. This tea used to be drunk by poor people who cannot afford good quality green tea. Because of its brown rice, it was considered quite filling thus very good during fasting periods or between meals when people could not feed themselves. An interesting Japanese tea is Hojicha which is charcoal roasted. Aracha is a raw green tea and Shincha is also called new tea because is the first flush. This is usually used for Japan’s premium teas. In Japan, people use instant teas just as much as we use instant coffee. Funmatsucha is green tea type used exactly for this reason. You can also search for it by looking for melting tea. Realistically there are many green tea varieties out there and is fantastic that you can pick exactly the one that suits you and your mood. The benefits of green tea are countless, as it contains many amino acids. As with everything, green tea should be drunk in moderation. "My favourite tea is Hojicha green tea from Japan. I tried this tea for the first time in Bangkok during my Asia travels in 2016. While I have yet to make it to Japan, this hojicha green tea experience was so delicious that it lights a fire in me to visit and taste this tea (as well as other great teas!) in Japan. 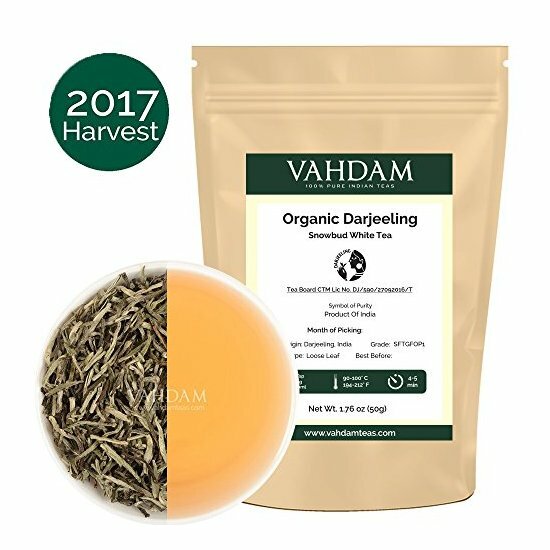 What makes this tea different from other Japanese green tea is that this tea is roasted at high temperatures over porcelain cookware. The cooking method originates from Kyoto and helps to preserve the quality of the tea. 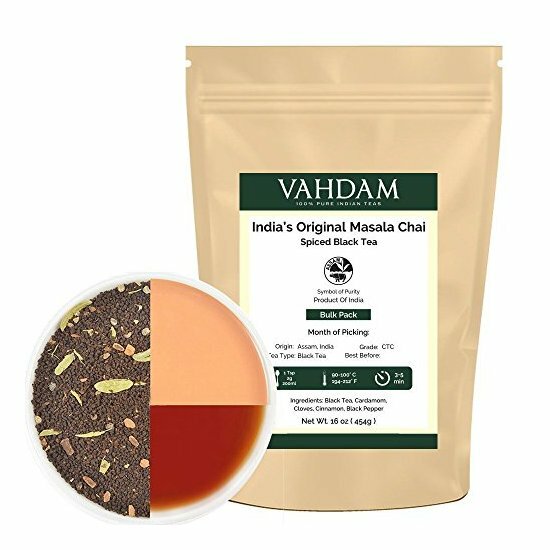 This technique also gives hojicha tea a nutty flavour and reminds me a bit of oolong tea, although not as earthy. Another added bonus about hojicha tea is that since there isn’t a lot of caffeine in the tea, you can enjoy this drink at any time of the day without worrying about it causing havoc to your sleep schedule. Before discovering hojicha tea, my obsession was with matcha green tea. I honestly did not think that anything could top my long love for matcha green tea until now. Nowadays, whenever I see hojicha flavoured food (mainly in desserts), I immediately order that dessert! This tea flavour is infused in sweets such as soft serve ice cream, cakes and cookies and heightens every dessert experience." "Imagine sipping on a cup of hot Hyssop green tea, sitting next to a window overlooking a big tea plantation and the ocean in the distance. It’s the oldest and only European tea plantation, and the sight of the giant waves is the only thing reminding you that you are actually halfway between Europe and North America - on the São Miguel island of the Azores. Although I’ve tried many different kinds of teas that, judging solely by the taste, may have been more interesting or exotic, Hyssop green will definitely remain my favourite! It’s not only about the taste, it’s about the whole experience - making new friends on an island far away from home, exploring it together, hiding from the thunderstorm in Gorreana tea factory, wandering through small rooms with weird tea-making equipment… and at the end sitting down to try the samples of the tea that we saw growing right before us while the storm is finally ending and the sun is breaking through the clouds - simply amazing! 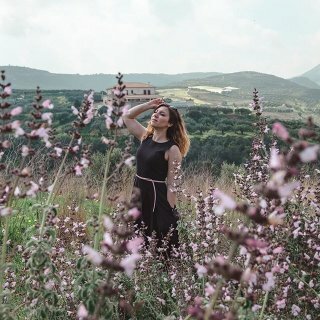 I left with a whole bag of different kinds of tea to try at home and give to my friends, and luckily the tea is exported to the continental part of Portugal so I can still enjoy it and remember that magical afternoon long after my journey ended." "There are so many fabulous teas in China and since I was there for over a month, I got to experience many different kinds. China is known for its green tea and the reputation is well deserved. One of my favourite teas I had was in a little shop in the Hutongs located right near the Forbidden City in Beijing. We stopped in after a long day walking through the main sites for something to relax and sip on. Unlike you may think, most of the Chinese use cups with tops on them to pour their tea. The tea is made in very small and quick batches which mean it needs very little time to brew and you can really smell the aroma and the taste of the tea is very strong. We ordered a tea after looking and smelling many different options. It's not easy to pick your favourite when there are so many lovely options! We got a surprise when we ordered a floral green tea. As our server lifted the top of the cup when it finished brewing, flowers had bloomed in the tea giving it a beautiful taste, smell, and look! We were surprised because we didn't expect to see actual flowers had bloomed. I loved it so much I bought some for myself, my friend, and my mom. I ended up seeing similar teas many other times while I was in China but loved this first one I tried the most, probably because it was so unexpected and special to see and smell flowers in my tea for the first time. When in China, I highly recommend looking for a floral green tea for a unique experience!" "We've tried a fair few teas from around the world, but one of our all time favourites is Moroccan Mint Tea. 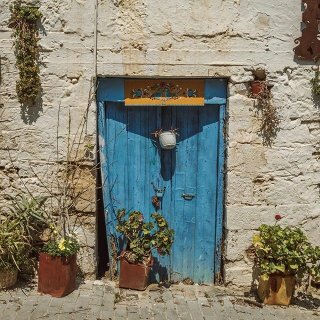 Our love affair with Moroccan Mint Tea started during our visit to Morocco back in 2015. 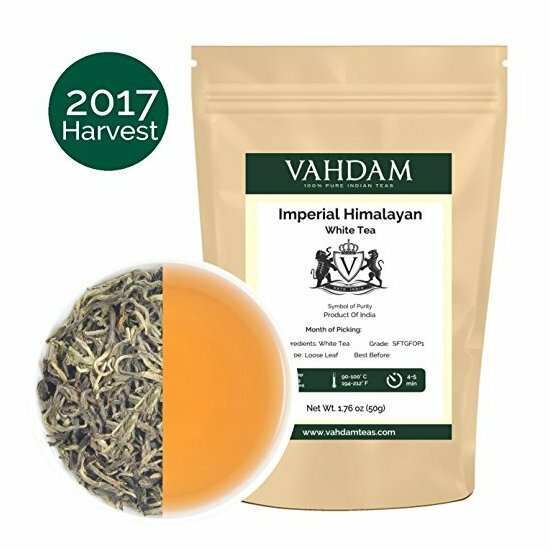 We have since become huge fans of this unique tea variety. Moroccan mint tea is a green tea prepared with mint leaves and sugar. The green tea base is usually made using gunpowder green tea from China, which is steeped for a few minutes before adding fresh mint leaves and sugar. While in Morocco, we perfected our mint tea order to get it exactly the way we liked it: Little bit of sugar, not too much mint. We found that as sickening as sweet mint tea was, mint tea without sugar just didn’t have the same taste. Something about the sweetness actually punched up the flavours of the tea that were lost in the sugarless varieties. Moroccan Tea plays an important role in the local culture. Tea is usually prepared by the head male in the family and offered to guests as a sign of hospitality. But Moroccan Tea isn’t just popular in homes. Tea drinking culture is widespread across the country and drinking tea is considered a social activity, a way for locals to connect, catch up and discuss current affairs." "Kahwah in Kashmir - A popular aromatic version of green tea consumed in Central Asia. It is prepared with saffron strands, cardamom pods, sugar and cinnamon bark along with crushed almonds. Many people put raisins, cherries, apples, pine nuts etc to make it more flavorful. I tasted Kahwah for the first time in Kashmir when I stayed in a house boat. The host family served Kahwah with Bakirkhani [similar to a puff pastry] and as I took the first sip, I was already in love with the taste. On a cold winter evening what else you require other than unlimited stock of exotic tea. There are many health benefits of Kahwah like it improves digestion, builds immunity, relieves stress, fights the signs of ageing and burns fat." Herbal Tea is a lovely beverage made from herbs, spices and plants. Such teas usually do not contain caffeine and are known for the health benefits. Such teas can be served hot or cold and have been used for a very, very long time. There is evidence which links medicinal plants to the Palaeolithic, so we are talking about over 60,000 years ago. Sumerians have created a list of plants around 5000 years ago whilst other ancient civilisations wrote down plants and their uses. Herbal teas are meant to keep the body in balance in harmony. Teas are an alternative to water and we are recommended two-three litres of liquid per day. Herbal Teas can also be a lovely combination of herbal mixtures handed down for a generation which helps natural healing, calming and balancing. 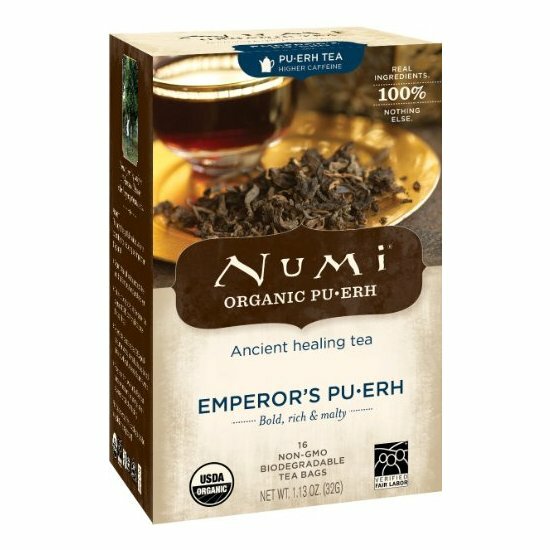 Such teas are a great alternative for those who can’t intake caffeine. Making use of herbal powers is an ancient tradition. Here are some of the herbal teas we strongly recommend: Camomile-It is a renowned tea for helping fight insomnia and anxiety. It also helps fight a cold and soothes indigestion. We recommend a cup of camomile tea just before sleep to ensure a good night sleep and peaceful dreams. "One of the best teas I have tried was the Himalayan Kawal tea in a spice shop in Northern India. I was on sensory overload after wafting the aroma of various Indian spices, followed by typical spice blends like masala, followed by sniffing and tasting tea flavoured like every fruit and flower are known to man. And then finally, something different. 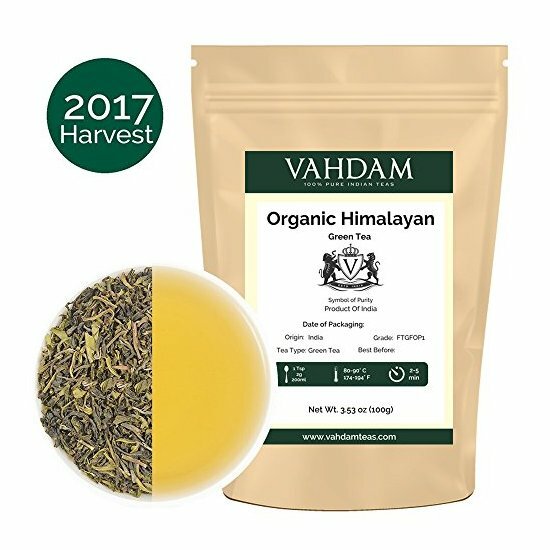 The Himalayan Kawal tea didn't quite look like tea; it was yellow, bright yellow. However, the familiar fragrances of cinnamon and cardamom beckoned me to try it. It was warm, soothing, and delicious. The shop keeper also said it could cure just about every ailment in existence. I mean, don't they all? The power of tea! 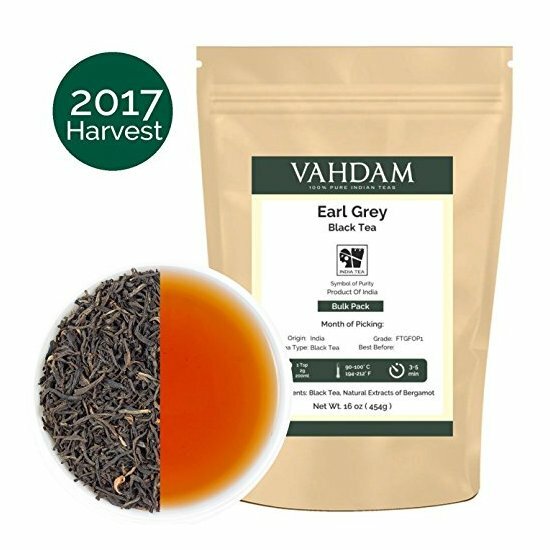 As it turns out, this unique blend was the shop's big seller; however, it didn't contain tea leaves at all! Instead, it was a combination of saffron leaves, cinnamon bark, green cardamom, and water, boiled and steeped to perfection. Saffron yields bright yellow tea; it all started to make sense! You may be aware that saffron is the most expensive spice on the planet and India is one of the top producers. Consequently, many people try to sell knock-off saffron. In addition to all of the smellings and tastings, the shop owner also explained how to determine if saffron was real or synthetic. This was the final piece of information I needed as I vowed to myself I would recreate the tea at home. Which I have yet to do. There is something about an amazing tea being served to you in a special place, a feeling I surely would not experience if attempted at home. Instead, I savour the memory of my favourite tea in India." "I used to frequent a tea house in Seoul that made incredible Chrysanthemum tea. I've always been partial to Eastern tea options, but this choice in particular was unique to me as the flowers are steeped in the water; the end result is a beautiful pot of calming goodness. The delicate tea has quite a few benefits, although I am mostly fond of the fact that it is great for detoxification and acts as a calming agent. Living in Seoul for two years really did a number on my skin and lungs due to the severe pollution. I really enjoyed knowing that chrysanthemums are rock star herbs not only chilled me out but gave my system a little detox boost on a fairly regular basis. Chrysanthemum also contains antibiotic properties, so it’s great to sip on if you feel a cold coming on or already feeling under the weather. I think I liked this tea so much not only because it was aesthetically beautiful, but it was so different than what I would normally drink back in the United States. While I grew up drinking oolong and green tea varieties, I had never enjoyed a fresh pot of tea legitimately made of flowers. It’s such a unique concept to me; it’s also a great representation of Eastern medicine that I find so endearing. This golden, mellow tea is perfect for a cozy winter afternoon, but can also be sipped on just as well in the summertime. Luckily for me, I’m currently based back in Asia after a stint in New Zealand, so I will be on the hunt for some chrysanthemum teas here in Vietnam!" Mint can reduce your cramping pain, help fight against the cold and the flu and a wonderful natural way to reduce fever as it induces your body to sweat. It can also help reduce nausea. Ginger helps you if you suffer from chills. It warms up your body and induces sweat, same as the mint. When you think of ginger, you probably think of the tea your mother used to prepare for you to get rid of a sore throat. It also helps reduce sickness. Winter’s favourite: Cinnamon! Not only it tastes amazing and it adds flavour to your favourite beverages and cakes, but it has a lot of wonderful properties. It reduces nausea, it soothes a sore throat, it can help reduce cold symptoms and it eases your stomachs. Lemongrass helps with your digestion and calms nervous disorders and anxiety. Echinacea is a great immune system enhancer, and it also helps reduce pain and reduce inflammation. Rosehips can help boost your immune system as well as providing you with vitamin C. It has a lot of minerals and its known to be an energy booster. Blackberry Leaf is a good vitamin C provider and its a great aider for pain and inflammation. Moreover, it can be taken to prevent stomach ulcers. This leaf provides you with salicylic acid which is very similar to aspirin, thus making it a great pain and fever soother. The clove tastes delicious and helps create a fabulous mulled wine. But it also has great health benefits working as an expectorant and helping ease a bad sore throat. Lapacho is a great gift from nature which the Incas used a lot for its calming properties. It has a great earthy taste and it contains important minerals essential for your body. In South America, mate has always been everyone’s drink, enjoyed round the clock and on any occasion. This brew of leaves and twigs from different hollies is said to have magic powers. Because of its high caffeine content, mate is immensely stimulating. It is also rich in vitamin C, magnesia, calcium and iron. It has a restraining influence on appetite which makes it interesting during fasting. White tea gets its name because of the beautiful little silvery hairs on the buds of the plant. These make it look whitish and fine. The leaves of the plant are being left to wither under the sunshine and they are processed in order to prevent oxidation. It is said that white tea became famous in China during the Song Dynasty. The tea buds and leaves used to be ground into a powder with a silvery colour to it and throughout the history, this practice has been abandoned in favour of loose tea. The Silver Needle is perhaps the finest and the most famous of the white teas. It has a wonderful appearance with silver hairs on the leaf which make it look so silky and delicate. It has a sweetish flavour which usually reminds us of juicy honeydew melons. White Peony is another fantastic tasting White Tea although you should expect a bit of a stronger taste. Vietnam Mao Feng has a fine flavour, China Mai Mu Tan is fragrant and mild and the China White Monkey has a particularly nice and special character to it. White Tea is very delicate and fragrant and we most certainly encourage you to pick your favourite and experiment with all of them. Some of them, like the Silver Needle, are classed as rare teas which make them even more sought after and extravagant. "Scotland is a country known for having whisky as smokey as a campfire and peaty as their bogs. So when given the chance to try Smoked White Tea inspired by that process, I couldn’t turn it down. Notes of heather, honey, fruit, and a gentle nuttiness round the tea out with its distinctive hints of peat. The aroma is also divine - you’ll be engulfed by a smoky-sweetness unlike anything else. Sourced by the Wee Tea Plantation at the Dalreoch Estate in Perthshire, this special tea is available only within the borders of Scotland. The best place to have a cup is at The Balmoral in Edinburgh, where the delicate Smoked White Tea is expertly prepared in genuine silver pots and topped with fresh rose petals." The oolong tea goes through a wonderful and unique process. The tea plant is usually withered under the strong sun, then is oxidised, then goes through curling and twisting. The varieties of oolong are many. You can encounter beautiful sweet and fruity ones or more roasted oolong with subtle honey aromas or woody notes. Whichever your oolong, you are sure in for a treat. This beautiful looking tea got its name due to its appearance. It is also known as Black Dragon tea simply because is dark, long and beautifully curly. There are several legends debating the origin of this tea. Some say it comes from the Wuyi Mountains whilst others say it comes from the Anxi. Other stories say that one tea picker got distracted after a long day and by the time it returned with the tea, it already started to oxidise, thus the tea was discovered by mistake. There are many types of oolong out there. "Thanks to UK tea specialists who import small batch high-quality teas from East Asia, I've developed a real love of Taiwanese tea including their famous high-mountain oolongs and Taiwanese Tie Guanyin, also known as Iron Goddess Tea. I really wanted to include some tea love in our recent short break in Taiwan. While most of the tea producing areas are at least a few hours journey from Taipei, there's one within easy reach of the city. Best of all, you can travel to Maokong via one of the most beautiful cable car journeys I've taken: The Taipei-Maokong Gondola is a relaxing half hour trip in small cabins strung high above the hillsides, offering spectacular views along the way. In Maokong, those wishing to learn more about tea production can visit the Tea Promotion Centre and a couple of small museums or walk some of the trails within the village. For us, though, we headed straight to one of the many tea cafes that have sprung up along Maokong's winding lanes in the last two decades. Hiding from the drizzle, we sat by the window in Jheng Da Tea Organic Garden and as we slowly sipped our pot of locally produced Tie Guanyin tea, we ordered a feast of a lunch, focusing on dishes including more tea - crispy tofu with tea, tea fried rice alongside stir fried cabbage and slices of salty grilled belly pork. After lunch, we browsed the Maokong shops to buy a couple of tins of tea to take home before taking the cable car back to the bustle of Taipei." Cassia is known for its spicy aroma, Gold Turtle, Iron Monk and Narcissus are very dark whilst the Red Robe is a very highly regarded tea which won several awards. The famed White Comb is light tea. Golden Cassia and Iron Goddess are both from Anxi, China, the later being a very famous tea and very popular for its delicate and beautiful taste. You may have heard of the oolongs from Guangdong province because they have the amazing ability to naturally acquire the flavour of flowers and fruits. Thailand has an extremely rare type of oolong and the tea plant wraps itself around a guava tree. Taiwan is also well known for its oolong teas. Dong Ding is a type of oolong which has a very distinctive fragrance. It means Ice Peak. Oriental Beauty is a sweet tasting oolong with fruity aromas. Alishan Oolong, referred to as the mountain tea, only grows during the sunny season. Lishan Oolong is very similar to Alishan Oolong although it comes from a different part of Taiwan. Pouchong is a very floral oolong, Ruan Zhi is very light and Jin Xuan is also known as the “milky oolong”. This has been developed around 1980 and it has, as the name states, a milky taste. New Zealand is not just a beautiful place, full of dramatic landscapes, but also home to Zealong tea. Zealong is a type of oolong and it has a unique character. Pu Erh is a very interesting tea indeed. It is the tea of the connoisseurs with a very beautiful fermented taste and earthy aroma. Pu Erh is produced in Yunnan, China where it undergoes the process of fermentation and oxidation. Pu Erh is created from an unoxidized large leaf of green tea which grows in Yunnan. These two categories of Pu-Erh, raw (Sheng Cha) and ripe (Shou Cha). You can buy the unoxidized leaf which is called Maocha, which is used to produce Sencha Cha or Shou Cha depending on the process used. It is worth noting that Pu Erh is about the only tea the Chinese call “black tea”. Everything else that we call black tea, they refer to as red tea. 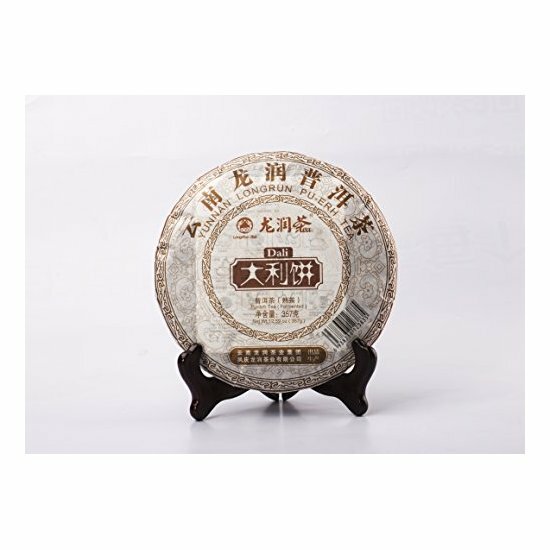 Pu Erh is compressed into various shapes such as bricks, cakes, discs, bowls, nests. Moacha which is the green unoxidised large leaf, the very raw material used for making the very beautiful Pu-Erh. Aged Pu-Erh which is the tea gone through a slow secondary process of oxidation and microbial fermentation. Ageing the pressed raw Pu-Erh is viewed as the highest quality. Mansa or "seed sowing bag"
Rooibos is a plant growing in South Africa and its leaves are used to make the very lovely herbal tea also known as bush tea. The locals would climb mountains to collect the leaves of wild rooibos plant and then will attach the leaves to bags at the back of donkeys. Will then have to descend the steep slopes. The leaves were then chopped and bruised using hammers, and then left to be dried out in the sun. 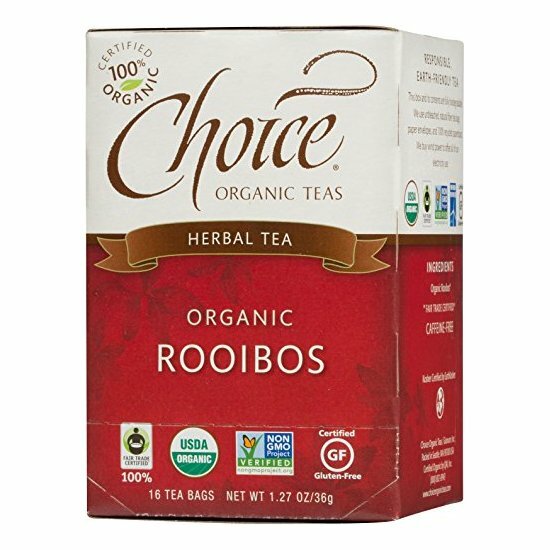 Dutch settlers developed rooibos as an alternative black tea which was rather too expensive to import from Europe. Benjamin Ginsberg, a man incredibly fascinated with the way the wild tree grows, decided to partner up with local doctor Dr. Le Fras Nortier and try and cultivate the rooibos plant. After several attempts, they were ultimately successful which led to encouraging local farmers to cultivate the plant in order to gain profit. 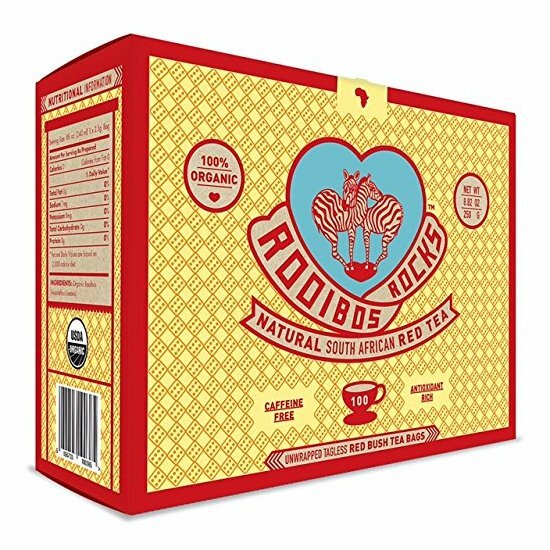 Today, Rooibos is widely available, being incredibly popular in South Africa. The very beautiful plant of Rooibos can only grow in South Africa as all places which tried to accommodate the plant, failed. 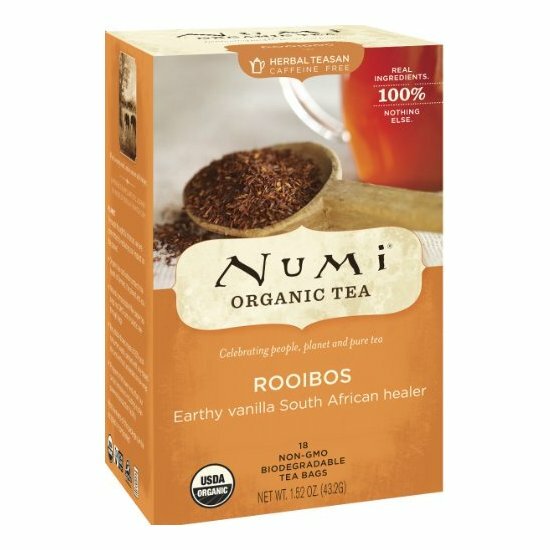 Attempts to grow Rooibos in the United States, Australia and China have all failed due to the fact that Rooibos has a symbiotic relationship with the local microorganism. Due to climate changes, there are speculations that Rooibos could be led to extinction within the next century. We love travelling in pursuit of finding awesome teas. One thing is certain: you can never have enough cups of tea! Do you love drinking tea? 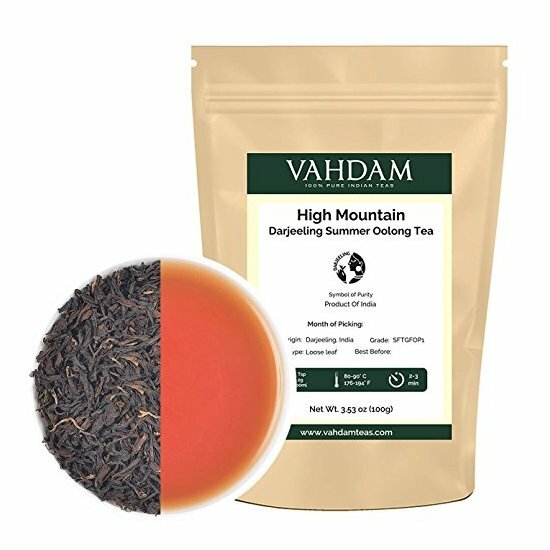 What is the best tea in the world according to you? Leave a comment and tell us your story! This was an awesome read, Cory! Thanks for including my contribution about Ceylon tea!